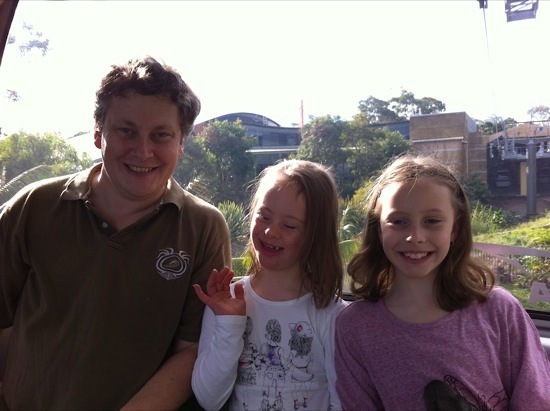 My family was fortunate enough to be invited up to Taronga Zoo in Sydney on Friday to learn about their Fish4Life campaign. This campaign aims to help the public make sustainable choices when purchasing seafood. By choosing products with the blue MSC (Marine Stewardship Council) ecolabel on them, you know you’re getting fish caught from healthy stocks, from a sustainably well-managed fishery, and with minimal impact on the surrounding ecosystem. In order to use the logo, retailers must purchase from an MSC-certified supplier, who in turn is purchasing from an MSC-certified fishery. These fisheries have been independently inspected and assessed for their sustainability, and are audited annually to ensure they continue to operate sustainably. The programme is currently being trialled at four Woolworths stores in the Sydney area. If all goes well with the trial, it will spread out to other supermarkets around Australia. If you see the label, please consider choosing that fish over an unlabelled one – supermarkets can only judge the success of such a programme by the sales results! 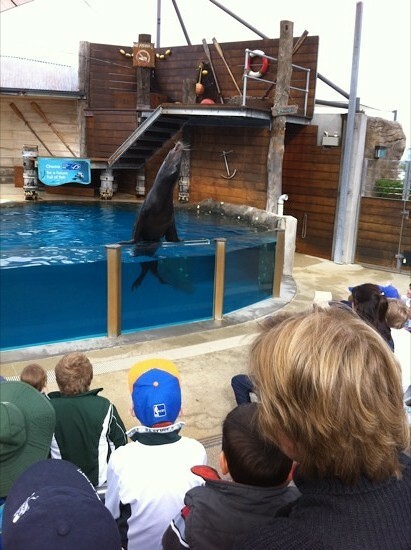 As part of the information day at Taronga, we sat in on the Seal Show. The script for this show has been rewritten to educate visitors about Fish4Life and the MSC label, and to encourage everyone to make sustainable choices when buying seafood. 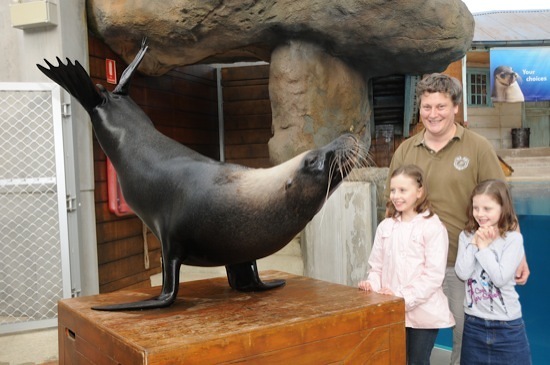 After the show, we got to meet one of the stars, Mali the Australian Sea-lion, and some of the keepers. The marine mammal keepers are very passionate about protecting marine environments – the idea for Fish4Life started with them, and they convinced the Zoo of the importance of supporting the cause. After meeting Mali, we were treated to lunch at the Cafe Harbourview, Australia’s first MSC-certified sustainable seafood cafe. The food was amazing, and the view out over Sydney Harbour was incredible. We spent quite a lot of time walking and talking with Dr Kira Husher, Taronga’s Community Conservation Manager, about Fish4Life and other activities of the Zoo. It was a fantastic opportunity for the kids to learn about conservation issues, and to understand the importance of protecting natural habitats and ecosystems. 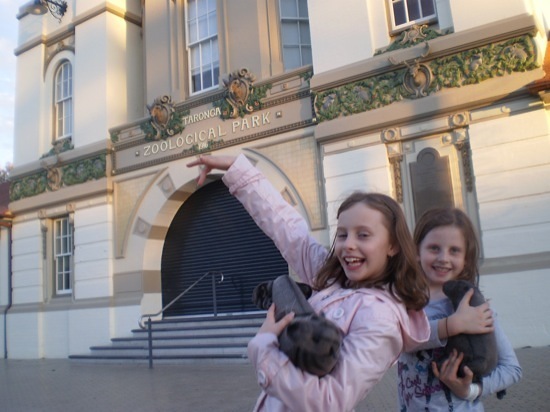 I think Sarah and Hannah both want to grow up to be zookeepers now! If you’re ever in Sydney looking for something to do, Taronga Zoo is definitely worth checking out. The animals here have the most spectacular views of any zoo in the world, looking out over the Harbour Bridge, the Opera House, and the city beyond. If you see the blue MSC logo in a shop or restaurant, please let me know. I’m interested in seeing how it catches on – it’s an initiative worth supporting. Update: Sarhn from Greener Me went to the information session on the Saturday and wrote about it here: Choose For A Future Full Of Fish. Looks like you and the girls had a wonderful time. It is a shame we were not at the same day as it would have been great to finally meet you after all these years! Maybe at another event?!? 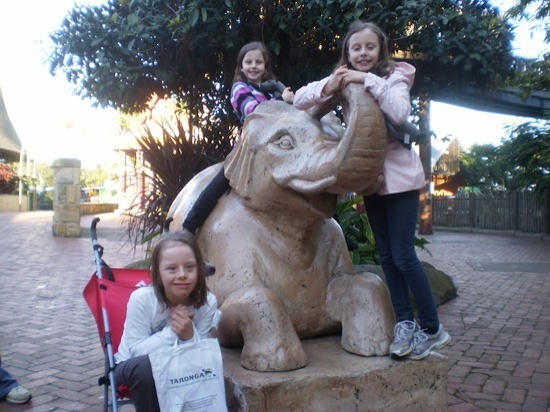 Wonderful to see you had such a great day out and good on Taronga for taking on such an important campaign! I look forward to taking my little miss up to the zoo one day! @Happyearth: You’ll love Taronga. It’s been many years since I was there, and I was really impressed with everything we saw. It’s very clean and kid-friendly, with lots of shade and sitting areas and a few different playgrounds. They have a very high level of care for their animals, and take their role in public education very seriously. I think you can get a Sunday special that includes the train trip up, ferry across the harbour, and zoo entrance. That’d be a top day out!